Everyone is looking for ways to improve their diet and one of the common complaints is that healthy food is expensive. This is not true as long as people take a few steps to prepare their food the right way. 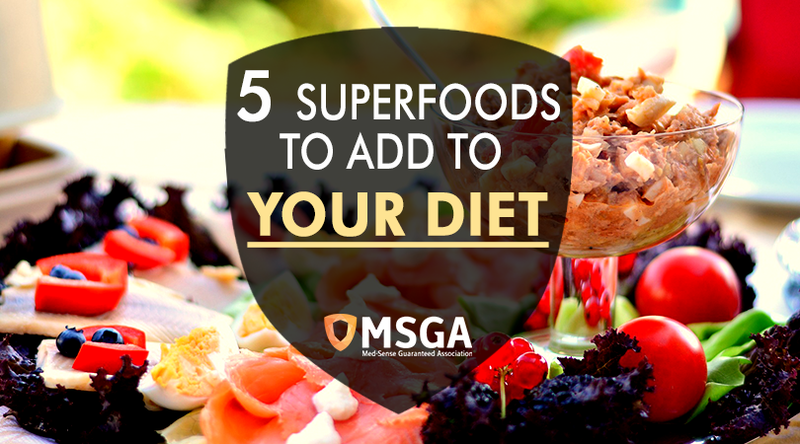 Recently, people have gotten behind a few common “superfoods;” however, a “superfood” is just a term used to describe foods that are healthy. This means high in protein, vitamins, minerals, and other nutrients while being relatively low in fat, cholesterol, and sugar (particularly added sugar). With this goal in mind, there are a few common healthy foods that people should be adding to their daily diet. While many people associate seafood with a high price tag, this isn’t necessarily so. Salmon is a fish that is relatively inexpensive and is definitely packed with numerous vitamins, nutrients, and minerals. The biggest advantage of salmon is that it is also packed with numerous omega-3 fatty acids. This is an important nutrient that can help to lower people’s triglycerides, remove plaque from the arteries, and can even help people lower their blood pressure. This can help people prevent blood clots and dangerous heart attacks, strokes, and pulmonary emboli down the road. Those that are looking to cut out desserts may find success by replacing them with healthy fruits. Blueberries have a brilliant color and the pigment that gives this fruit its color is an antioxidant. For those who don’t know what these are, antioxidants scavenge radicals (which are harmful molecules that could lead to DNA damage) and remove them from the body. Blueberries are only one example of an antioxidant and a mixed bowl of berries can help people maximize the benefit of these antioxidants. It could even prevent the formation of dangerous cancers. Broccoli has developed a reputation as a food that children like to avoid; however, this and other cruciferous vegetables qualify as a superfood. These vegetables have numerous nutrients that can help fight dangerous diseases. Broccoli, in particular, is packed with fiber, folate, vitamin C, and calcium. For those who are looking for ways to make their broccoli taste better, try sauteeing it in olive oil or serve it with a healthy dip. Eggs are a common feature on superfoods lists because they are packed with protein, choline, and lutein. Even though they have also been picked on because of their cholesterol, take a few steps to make sure to eat the whites only. Remove the yolks and this removes the cholesterol as well. Eggs can easily be combined with some of the vegetables and meats from above to create a delicious three-egg omelet! Last, but certainly not least, everyone needs to have plenty of calcium and vitamin D to maintain strong bones. This is particularly true after menopause. Greek yogurt has two times the protein of standard yogurt and doesn’t have nearly as much sugar as its competitors. Why not top it with those antioxidant berries?